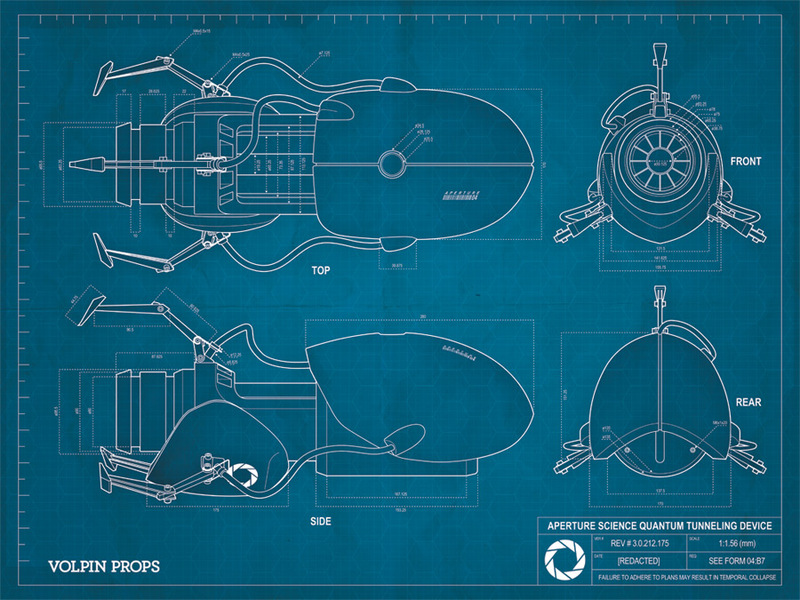 This blueprint-style poster is a bit anachronistic, as it is retroactively designed from photographs taken of my completed Portal Gun project rather than blueprints of the actual in-game item used in Portal. Since this was my first project way back in the day, this poster reflects my own build and comes complete with accurate measurements of this real-world item. You’re getting a blueprint of a real-world prop created from a digital image taken from a videogame. Prop-inception!